FESTIVAL DE LA INFANCIA 2016. A festival of activities for the whole family. The Festival de la Infancia is a fixed in the Christmas calendar in Barcelona. If you plan to enjoy a few days in the city or if you live in the city, from December 27 to January 4, children will enjoy 9 days of fun and varied activities designed for the whole family. Check out all the planing in detail so that you can enjoy it to the fullest. Have fun at the Festival de la Infancia! 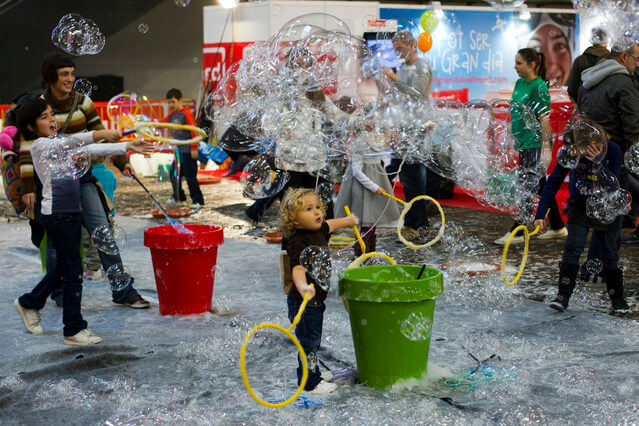 A wide variety of activities await you at the Festival de la infancia of Barcelona. Handicraft workshops, sports activities or musical performances for the enjoyment of the whole family. In addition, Face-painting workshops for children, cooking classes and conferences on health based on food. This year, the focus of Festival de la Infancia are the importance of a healthy diet, to raise awareness among children and adults that eating healthy is not at odds with a rich and fun diet. Also to enliven the Festival, there will come Olympic champions and Barça players. 2. Environment. Ecology and recycling as protagonists. 3. Adventure. A park to demonstrate physical abilities, suitable only for the most daring. 4. Sport. With many sports activities. 5. Music, shows and children’s concerts. 6. Imagination and creativity. Remove the artist you carry inside. 7. Civility. Know the rules of coexistence. 8. Health and healthy habits. You can expand all information about activities here. New shows for the youngest. 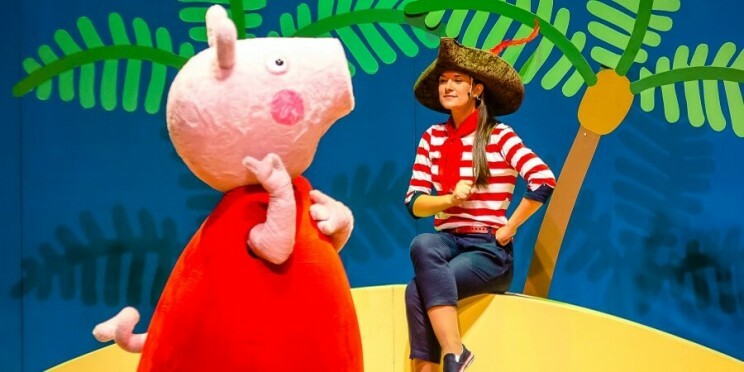 In this 53rd edition of the Festival, Peppa Pig and Ben & Holly shows will capture the attention of the audience. A great and unforgettable opportunity to meet the favorite characters of your children. To do this they have enabled two themed areas respectively with a lot of activities inspired by a world of princesses and pirates of Peppa Pig and the fantastic worlds of Ben & Holly. Accommodation near the Festival de la Infancia: Discover our best offers of accommodation in Barcelona and enjoy your stay in the city as you deserve.